OWATONNA, Minn., October 19, 2015 - Southern Minnesota Initiative Foundation (SMIF) is pleased to partner for a fifth year with ABDO Publishing of Mankato to place over 5,800 books in the hands of pre-K students and their families. These books, valued at nearly $100,000, are distributed through SMIF’s Reading Rocks! program through which SMIF’s 25 AmeriCorps LEAP (Learning Early Achieve Potential) members will give them to children at 20 LEAP placement sites. AmeriCorps members will introduce the books and read to the children, along with reinforcing the book’s theme by doing creative learning activities. Each child will receive a book a month (total of six), a message from the member to encourage daily reading, and a bookmark that children return to the member once they have crossed off all the “LEAP” frogs to indicate daily reading at home. Some books will also be given away at various family events throughout the year. According to SMIF AmeriCorps LEAP Director Barbara Gunderson, these books will go to 860 children in southern Minnesota. “It’s one thing for our AmeriCorps members to read to kids during the school day, but having books available at homes helps encourage parents to read to their kids, which is critical for not only literacy development but also social and emotional development,” said Gunderson. She encourages parents to make reading a routine; as little as 10-15 minutes can make a big difference. For more information about Reading Rocks! 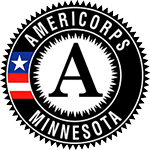 and SMIF’s AmeriCorps LEAP program, contact Barbara Gunderson at barbarag@smifoundation.org or 507-455-3215. A local Mankato company ABDO Publishing is a leading educational publisher of books and digital resources for today’s schools and libraries. Having served libraries since 1985, ABDO has earned a reputation as a publisher that delivers family-friendly educational-based titles. Consisting of four divisions including ABDO Publishing Company, specializing in quality nonfiction; Spotlight, featuring licensed fiction; Magic Wagon, picture books, chapter books, and graphic novels; and Abdo Digital, featuring thousands of eBooks, interactive books and databases for libraries. To learn more about ABDO please visit www.abdopublishing.com.